I thought staff was great - very friendly. I also like the fact that there was a decent size pool, sauna and hot tub (even though this was not functioning at the time) I thought that the hotel could be cleaner - simple vaccuming would have made it cleaner especially in hallways. Thank you. Where to find Victoria Harbour hotels near an airport? Where can I find hotels in Victoria Harbour that are near tourist attractions? 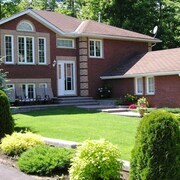 Are you planning to spend some nights in Barrie - Orillia? Hoping to book somewhere to stay in Victoria Harbour? Victoria Harbour has 6 quality hotels within easy driving distance of the center of town. The Tucked Inn the Harbour Bed & Breakfast is amongst the most conveniently situated options because it is one of a small number of choices that is within walking distance of the Victoria Harbour downtown area. 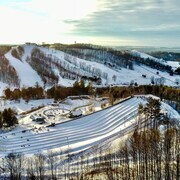 You could also check out the Horseshoe Resort as well as the Christies Mill Inn & Spa. 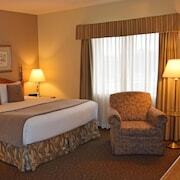 The Horseshoe Resort can be found 25 kilometres (15 miles) from downtown Victoria Harbour. The Christies Mill Inn & Spa, is situated 7 kilometres (4 miles) away. The Carriage Ridge Resort at Horseshoe Valley and the Best Western Highland Inn & Conference Centre are some other options around Victoria Harbour. Once you have got to know Victoria Harbour, why don't you explore a little further afield? The Southern Ontario district has plenty of attractions. Southern Ontario has beaches, coastal plains, forests and lakes, and common Southern Ontario sights include traditional villages. Locals and visitors alike in this section of Canada often enjoy skiing and cross-country skiing. Barrie is 40 kilometres (25 miles) to the south of Victoria Harbour and is where you'll find Georgian College and Snow Valley Ski Resort. 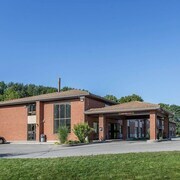 Some of our recommended Barrie hotels include the Hampton Inn & Suites Barrie and Holiday Inn Barrie Hotel & Conference Centre. 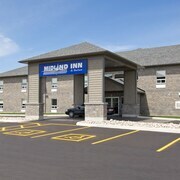 Alternatively, you could consider staying at Midland, 10 kilometres (6 miles) to the west of Victoria Harbour, where you'll find the Comfort Inn Midland and Super 8 Midland. The Bamboo Spa and Midland Golf and Country Club are a couple of the more popular sites to experience should you visit Midland. If you enjoy sports and love watching local games you might choose to take a trip to Barrie Molson Centre, which is 45 kilometres (29 miles) to the south of Victoria Harbour. Those wanting to find a room or apartment close to the action can select from the Holiday Inn Express Hotel & Suites Barrie or the Comfort Inn Barrie. If you are traveling into or out of Pearson International Airport and choose to stay nearby try Sheraton Gateway Hotel In Toronto International Airport or Residence Inn by Marriott Toronto Airport. What are the most popular Victoria Harbour hotels? Are there hotels in other cities near Victoria Harbour? 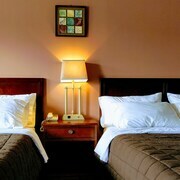 What other types of accommodations are available in Victoria Harbour? Explore Victoria Harbour with Expedia.ca’s Travel Guides to find the best flights, cars, holiday packages and more!